Nestled along the banks of the historical Singapore River, Novotel Singapore Clarke Quay offers a blend of history and hip – making it a great hotel in Clarke Quay Singapore. Celebrate your dream wedding in style with a selection of wedding venues at Novotel Singapore Clarke Quay. Choose between two ballrooms; for up to 500 guests our Phoenix Grand Ballroom, a 525 square metre pillar less ballroom, high ceiling and large chandeliers will be the perfect venue. Alternatively, if you are looking for a smaller and more intimate celebration of maximum 250 guests, our classic Cinnamon Room is sure to add a touch of glamour to suit this special day. Our outdoor patio with a fantastic view of the Marina Bay area will be available for your use, if you are looking to have a solemnization ceremony against the evening sky. Our wedding services team makes sure that your special day at Novotel Singapore Clarke Quay is celebrated and made with Pride, Passion and Perfection. The combination of spacious ballrooms, modern accommodation, excellent Chinese cuisine and divine services, helps to create romantic memories that last a lifetime – The Dream Wedding. Entrust all the finer details of your wedding to our professional wedding specialists. For your wedding banquet, experience fine cuisines prepared by our master chefs from Dragon Phoenix restaurant and receive our total dedication to your requirements from our wedding services team. 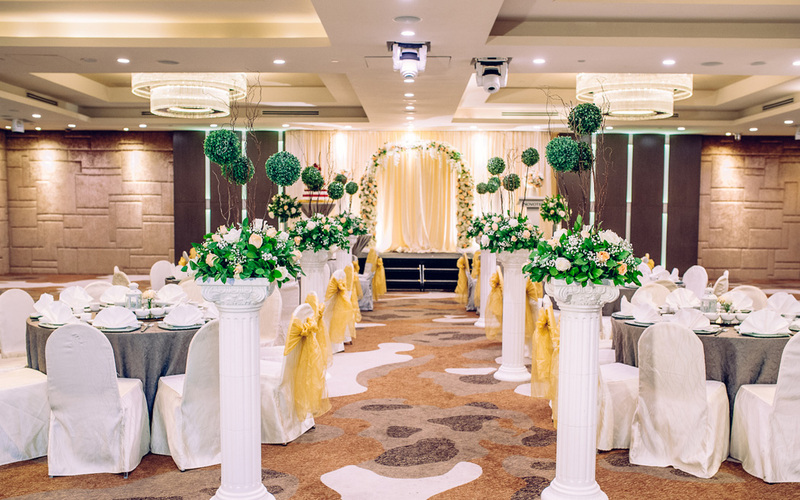 With a dedicated team of wedding staff, banquet operations and attractive wedding packages in Singapore, a wedding at Novotel Singapore Clarke Quay is definitely dressed to impress and create memories that will last a lifetime.